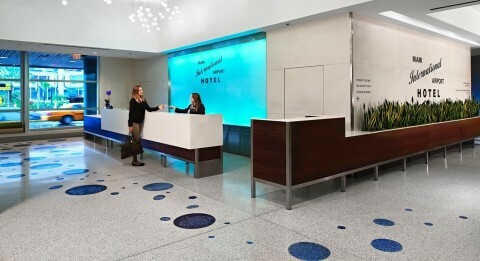 NEW YORK--(BUSINESS WIRE)--MCR, the seventh-largest hotel owner-operator in the United States, is now managing the 259-room Miami International Airport Hotel. Located pre-security at the departures level of Concourse E, it is the only hotel at Miami International Airport, which serves more than 44 million passengers annually. Reservations can be made online at www.miahotel.com or by phone at 1-800-327-1276. MCR is the seventh-largest hotel owner-operator in the country and has invested in and developed 104 hotel properties with more than 12,000 rooms in 27 states. MCR’s hotels are operated under 11 brands. The firm has offices in New York City and Dallas. MCR is a recipient of the Marriott Partnership Circle Award, the highest honor Marriott presents to its owner and franchise partners for hospitality excellence. The company also won the 2017 Hilton Mobley Top Performer Award for its outstanding accomplishments at Hampton by Hilton properties. For more information, please visit www.mcrinvestors.com. Miami International Airport offers more flights to Latin America and the Caribbean than any other U.S. airport, is America’s third-busiest airport for international passengers, boasts a lineup of more than 100 air carriers and is the top U.S. airport for international freight. MIA, along with its general aviation airports, is also the leading economic engine for Miami-Dade County and the state of Florida, generating business revenue of $33.7 billion annually and welcoming 70 percent of all international visitors to Florida. MIA’s vision is to grow from a recognized hemispheric hub to a global airport of choice that offers customers a world-class experience and an expanded route network with direct passenger and cargo access to all world regions. MIA is committed to sustainable practices. Learn more at http://www.miaefficiency.com/. 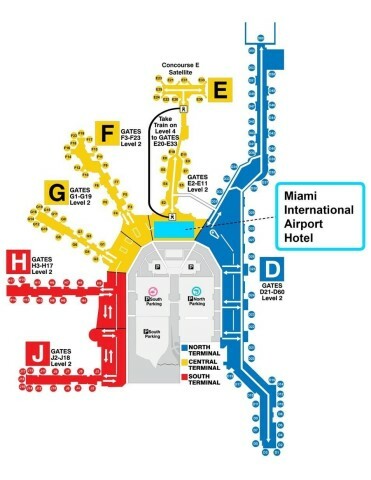 For up-to-the-minute departure and arrival information, airport maps and details on shopping, dining, transportation and more, visit www.miami-airport.com. Follow us on Facebook, Twitter and Instagram.